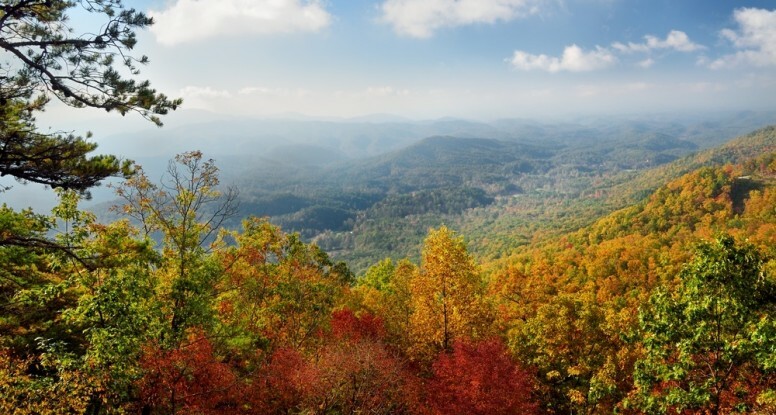 While the Smoky Mountains are breathtaking at any time of year, the fall foliage season is truly stunning! 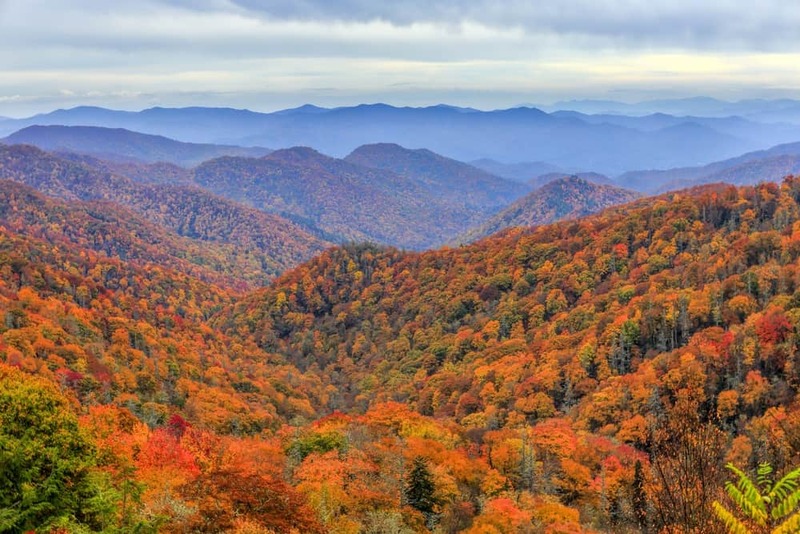 Although the specific dates of the peak fall colors vary from year to year, the leaves generally start to change around the beginning of October. The best time to view the fall foliage is usually from the end of October through the beginning of November, but they are beautiful all throughout the autumn season! 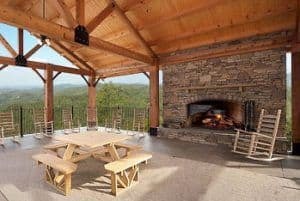 While staying in our rental cabins in Wears Valley TN, you can relax on your private deck to enjoy the incredible showcase of colors and breathe in the fresh mountain air. If the air is a bit chilly, just dip into your bubbling hot tub and let the refreshing hot waters soothe your bones! To get a sense of what you can expect to see while staying with us, check out the live webcam at Hearthside at the Preserve! Hearthside at the Preserve has cabins of all sizes that can easily accommodate your needs for a fall vacation in the Smokies. Whether you are seeking a 1 bedroom cabin for a romantic getaway or a 12 bedroom cabin for a large group, we have you covered! This means that regardless of how many guests you may have in your party, everyone can spread out in comfort and enjoy all of the wonderful amenities that we have to offer. Our rental cabins in Wears Valley TN are a much better deal than staying in separate hotel rooms and have everything you need for a delightful stay in the Smoky Mountains. This includes a fully equipped kitchen, seasonal fireplaces, laundry facilities, cable television and free wireless internet access! Our Wears Valley cabins are not simply just a place to stay, but part of a resort community where you have access to all types of fantastic exclusive amenities! The fireplace at our open air outdoor pavilion is a terrific place to kick back in the gorgeous fall weather and offers a pleasant opportunity to meet other guests from around the country. Hearthside at the Preserve also features a newly remodeled exercise facility where you can maintain your fitness routine throughout your stay. Don’t miss our sauna and steam room for the ultimate in relaxation! If you come back to visit us during the warm summer months, be sure to check out our heated outdoor swimming pool and in-ground hot tub! Check out all of our rental cabins in Wears Valley TN today to plan your fall vacation to the Great Smoky Mountains! We look forward to seeing you soon at Hearthside at the Preserve!